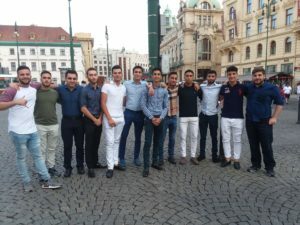 This month, forty-two EMET students, along with two rabbis and four staff members, spent an unforgettable week touring Poland, Prague, and Vienna. It was EMET’s third exclusive trip to Eastern Europe, and its second trip this year. EMET Co-Director Rabbi Mordechai Kraft and Upper Boys’ Division Director Rabbi Nissim Musheyev led the trip. They were joined by three female madrichot, and EMET’s Women’s Director Miss Shira Fendel surprised the group by joining mid-week. Most participants came from EMET’s flagship fellowship program in Forest Hills and its campus programs at Queens College and St. John’s University. 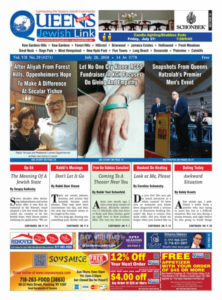 To help prepare students intellectually and emotionally, EMET rabbis taught them about the Holocaust in the weeks leading to the trip, focusing on relevant philosophical and hashkafa issues.